Without further ado, let’s look at the remaining problem plates in Hollar’s series of 12 etchings, Muscarum Scarabeorum, which has been in our collection for 150 years. Most of the species have been identified by Te Papa’s bug buffs Dr Phil Sirvid and Dr Julia Kasper. But several are given ‘possible’ identifications as well as a few remaining ‘unknown’. Do tell us if you disagree (we won’t feel stung), and even better, help us fill our gaps! 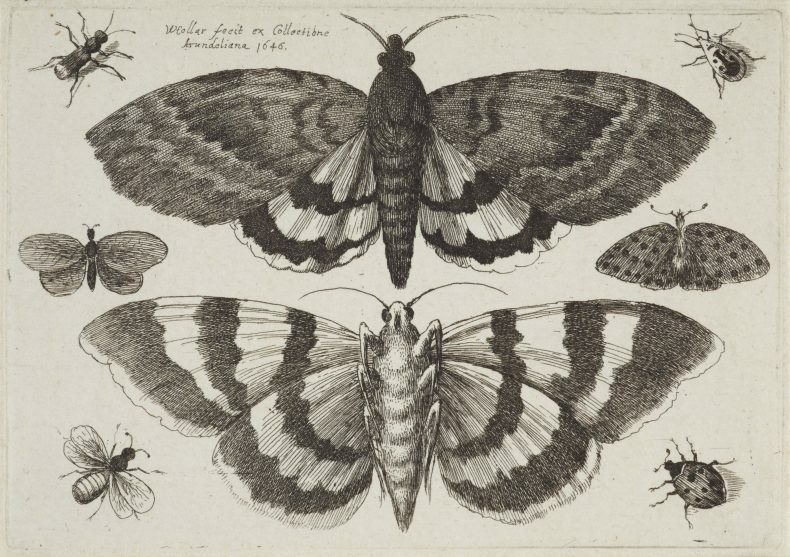 Top and bottom row, centre: Red underwing moth – Catocala nupta. Top row left: Unknown beetle. Quoting his favourite pop group once more, Mark’s request is Please Please Me by identifying him/her! 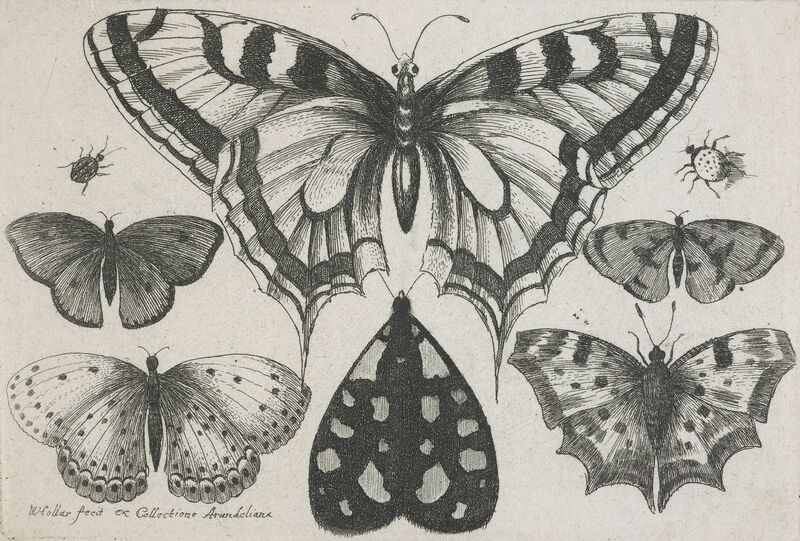 As two of the insects in this plate are almost certainly moths, it needs to be re-titled by art historians. 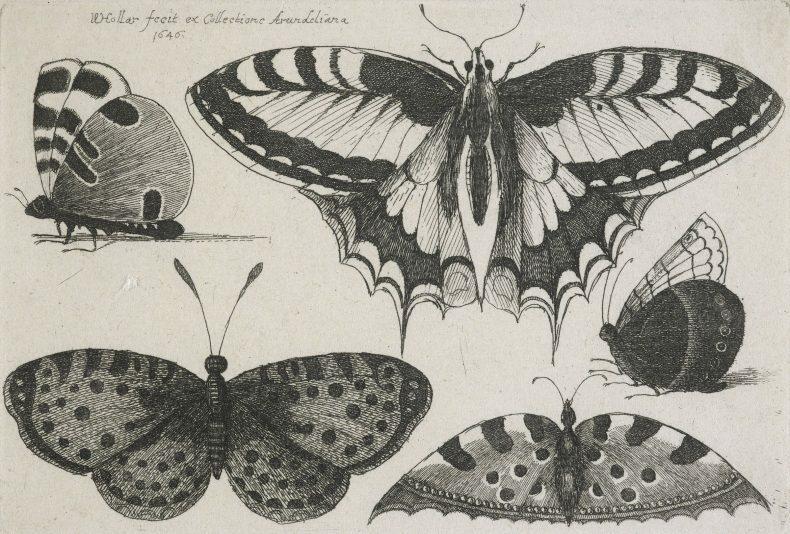 Bottom row, right: Possibly the garden tiger moth – Arctia caja. If so, there is some artistic licence as the wing shape and pattern are very unusual. The rear wing margin would not be undulating as shown here. A version of this blog was first published on 31 Aug 2017. 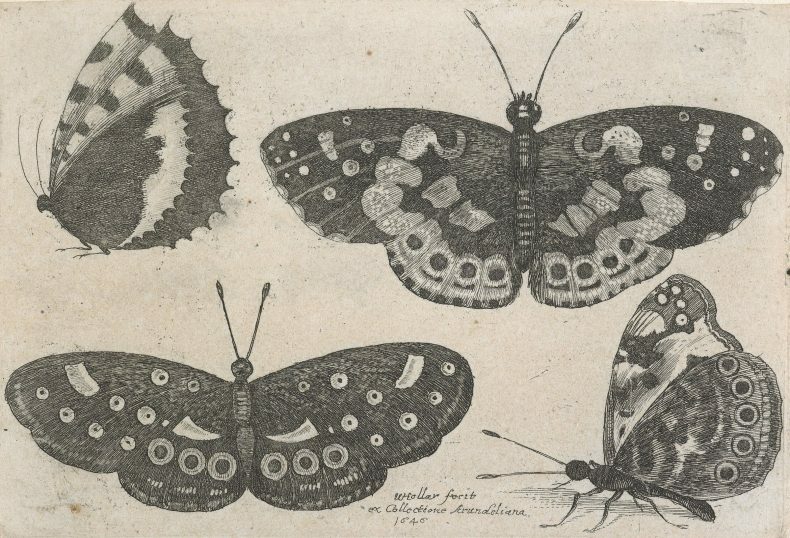 Hi, plate 11 top right appears to have 8 legs, so may not be a ladybird. Sorry I can’t add anything positive. HI – plate 11 top row right appears to have 8 legs which would suggest not a ladybird. I think plate 11 top row left is probably Alexander beetle! otherwise I am a flutter….. Thank you, Jane, this represent excellent invertebrate expertise!